Perched at an altitude of 1700 mts above sea level at a distance of 15 kms from Pauri, Khirsu is an exquisite and quaint place situated inbetween the Oak, Deodar trees and Apple orchards. Khirsu have been a less travelled place but now it is earning a good name as a hill station. A wide view of the gigantic Himalayan range is distinctly visible from Khirsu, of which some are familiar peaks and many are unnamed. There is an ancient temple dedicated to Ghandiyal Devi situated nearby, which adds the quietude of the place. The region has plenty of apple orchards and is home to many species of birds. Khirsu is an immaculate destination which will impress you with its flamboyant charm all through the year. Accommodation facilities are available at Khirsu providing you luxury and comfort at affordable prices. 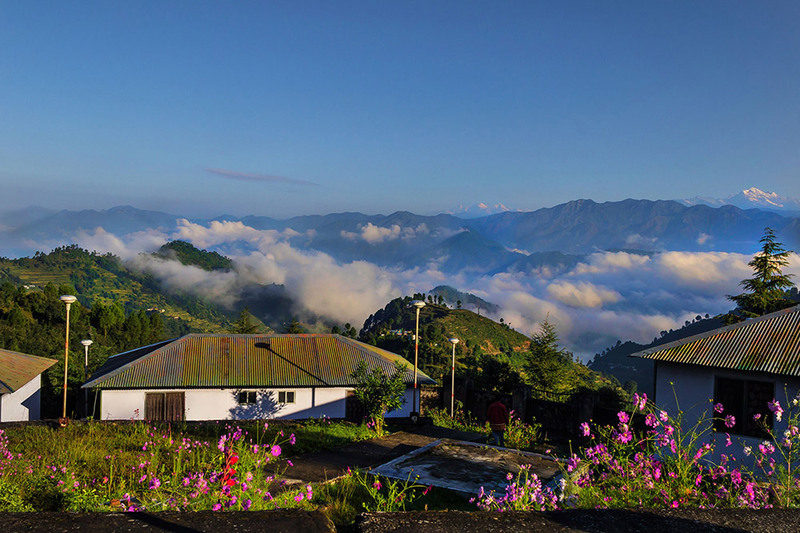 Wake up with the chirping of birds and the hues of the sunlight on top of the mountains. Rejuvenate your soul and revitalize your mind by planning a holiday in the serene and placid environment of Khirsu. Nature Walks – The natural beauty in the form of thick forests of Pine, Oak and Deodar that encompasses the vicinity of Khirsu is quite breathtaking. The possibility of exploring this beautiful region would be hard to resist. Nature walk to the nearby villages via forests are quite popular at Khirsu. 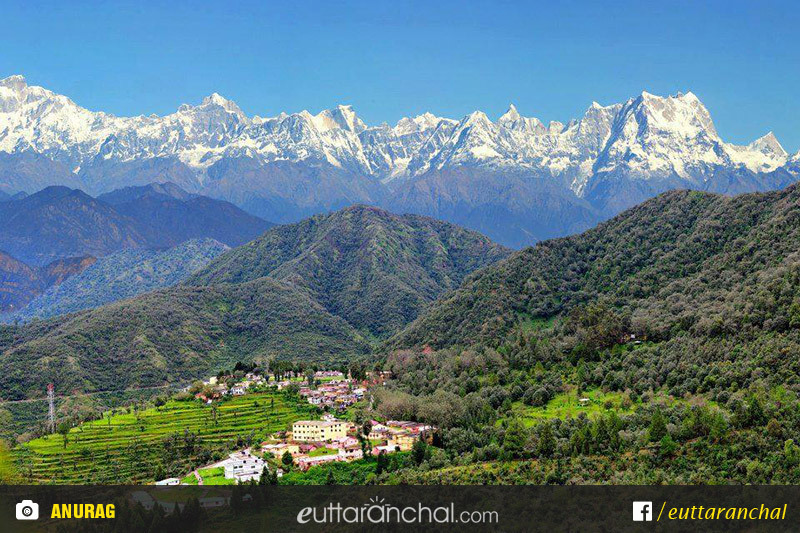 Village Tourism – Khirsu is one of the hidden jewels of Uttarakhand and, due to less tourist activity, has remained unspoilt though the years, Khirsu and its nearby villages offer perfect opportunities to experience the rustic yet peaceful life in the hills. Khirsu is situated at a distance of 330 kms from Delhi thus making it a perfect weekend destination. 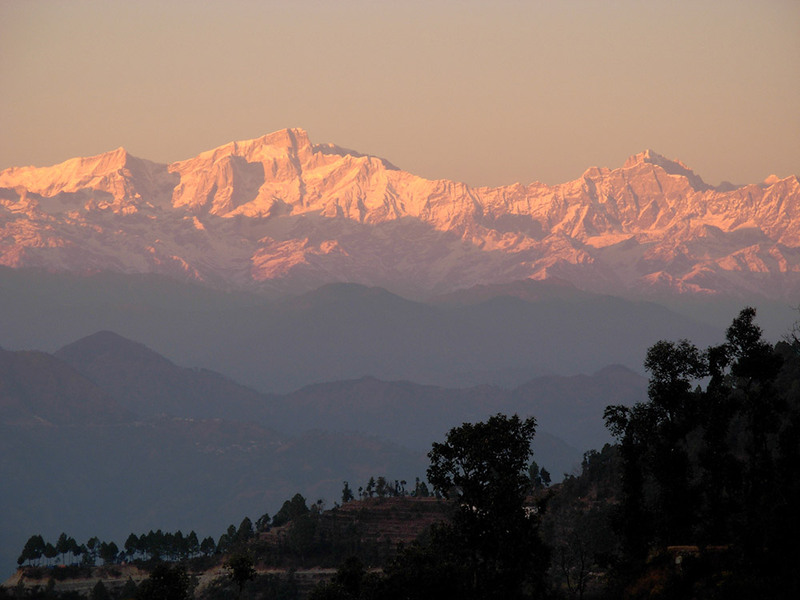 The location of Khirsu makes travelling to places like Pauri, Srinagar, Deval Garh, and Dhari Devi easier. Khirsu is a tourist destination which can be visited all year round. There are few hotels and camps in Khirsu where you can stay. There is one GMVN Tourist Rest House in Khirsu as well. Uttarakhand Forest Development Corporation sets up Eco Tourism Camps between March and October every year with excellent facilities for tourists. Reservations can be made at UAFDC office at Nehru Road, Dehradun. If you are finding difficulty in booking accommodation in Khirsu, they you can get plent of options in Pauri which is just 15 kms from Khirsu. Check our Pauri hotels. There are no fancy restaurants in and around Khirsu. One has to make do with roadside local restaurants and dhabas which serve north Indian dishes along with popular Chinese dishes like momos, noodles etc. One can also try the local Pahadi cuisine which consists of Sisunak Saag, Gehat Dal, Chainsoo, Kappa, Pahadi Raita to name a few. What is Khirsu famous for? Khirsu is famous among tourist as Hill Station. Khirsu is recommended destination for Couples, Family and Kids, Groups, Solo. Khirsu is popular destination for following activities/ interests - Emerging Destinations, Hill Station, Village Tourism, Weekend Getaway.